The main job of a music promoter, usually simply called a promoter, is to publicize a concert. Promoters are the people in charge of "putting on" the show. They work with agents – or in some cases, directly with the bands – and with clubs and concert venues to arrange for a show to take place. Promoters are also in charge of making sure the word gets out about that show. They also take care of arranging the incidentals, like hotels and backline for the band. In a nutshell, it is the promoter's job to make sure things go off without a hitch. Note that this kind of promoter is different from a radio plugger or PR agent. Negotiate a deal with the band/agent for the show. What fee will be paid? Will the promoter provide accommodation? Promote the upcoming gig to the local press, social media channels and radio. They may want to put up posters and email their mailing list. Make sure everything the band needs is in place, such as backline, accommodations, riders, etc. Note: Venue-tied promoters should skip the "contact venue" step. Indie music promoters can find it very hard to make money, and many indie promoters do promotion on the side of their "day jobs." Promoters make their money off of the proceeds generated by a show. Promoters can either have two kinds of deals with bands: Pay the band a set fee, no matter how many people buy tickets, and a door-split deal. With both deals, a promoter can easily lose money on a show. Making money as a promoter requires careful planning. When you are dealing with large sums of money, a contract is always a must. But many indie music promoters who know they won't be making much money, if any, on a gig often skip the contract. Even if no money is exchanging hands at the end of the night, though, it is still a good idea for a band and promoter to have a contract that clearly states things like whether or not the promoter will provide accommodation, who is taking care of the backline, when the soundcheck is, how long the band's set will be, what the band will get for a rider, and of course, how any profits will be split. It helps avoid confusion later. There are two ways you can get into promoting. You can contact promoters and venues in your area and offer your services and learn the ropes that way, or you can try to get your promoting career off the ground yourself. If you want to work for yourself, start small. Pick a favorite local band and offer to promote a show for them. Book the venue, contact the local media, get the word out on social media and put up some posters advertising the show. If you do a good job, other bands will find you, and as you become an established promoter in your area, bands from out of the area will find you as well. Promoters who work with mega stars who sell out huge venues can make some serious money. But indie music promoters can easily find themselves working all day, every day, and only getting deeper into debt. Many promoters have a day job that supports their promotion job. If you want to become a promoter, you need a clear understanding of the money involved, and you need to make deals with bands and venues very carefully. You can't get around some of these fees, like the venue fee, but there are ways of mitigating some of the expenses involved in promoting – and if you want to stay in this for the long haul, you need to cut costs as much as you can. For instance, ask the band/label/agent to print posters and send them to you, instead of you taking that cost on. Don't provide accommodation if the band's show is not going to generate enough money to cover the costs, or if you must, put the band up at your house. Don't provide overly generous riders – a few waters and a few beers is fine. Split the cost of renting special equipment with the band. You can also cut down on some of your expenses by working under a door-split deal arrangement, instead of paying the band a set fee. That way, you make all of your money back first, and then the band gets paid if you get paid. 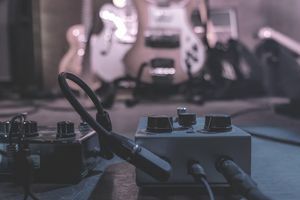 Bigger artists will balk at this kind of deal and will want a set fee — paying a set fee is fine, and even ideal, when you're working with a band who you know will sell enough tickets to recoup your costs. But if the band you're putting on is just building a name for themselves, a door-split deal is fair for everyone. Make sure the band tries to sell some merchandise at the show to give them some extra money. If you have a door-split deal, and the show didn't make any money, a nice promoter might throw the band a little bit of gas money, which can go surprisingly far in earning you a reputation as a good promoter. The truth is that many indie shows lose money, especially shows featuring new bands. As long as you are not withholding earnings from the band, it is perfectly OK to set up your shows so you lose as little as possible. Most up-and-coming bands will recognize that and will work with you. After all, if you succeed, they succeed. Being fair to both parties (yourself included) is the name of the game.